In this award-winning true story, a pragmatic and successful physicist, Dr. Gary Holz, travels to a remote village in the Australian Outback seeking healing from Aboriginal healers for his progressive MS.
At the tribe's request, Dr. Holz relates the step-by-step process that helped him affect this miraculous recovery, revealing these ancient healing techniques to the Western world for the first time. Read in over 40 countries! A guide to the 60,000-year-old healing system of a remote Aboriginal Outback tribe with remarkable healing abilities. Revealed at the tribe's request, Secrets of Aboriginal Healing: A Physicist's Journey with a Remote Australian Tribe chronicles the step-by-step process that led to Dr. Holz's miraculous recovery. 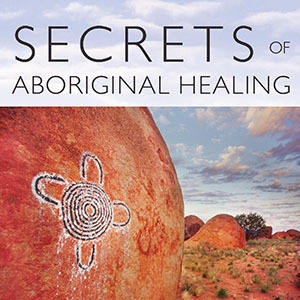 Read an excerpt from Secrets of Aboriginal Healing. Here's reviews on Secrets of Aboriginal Healing. Sequel Aboriginal Secrets of Awakening Available Now! 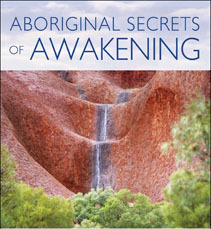 The sequel, Aboriginal Secrets of Awakening: A Journey of Healing and Spirituality with a Remote Australian Tribe, continues the story of Dr. Gary Holz, introduces the extraordinary story of his wife, Robbie, in a beautiful and heart-warming love story. Authored by Robbie Holz with Christiann Howard, published by Bear & Company, the sequel is available now! Learn more or order your copy today. Read an excerpt from the sequel Aboriginal Secrets of Awakening. Learn more about the sequel or order.